Lots still available - Ask about reserving yours today! 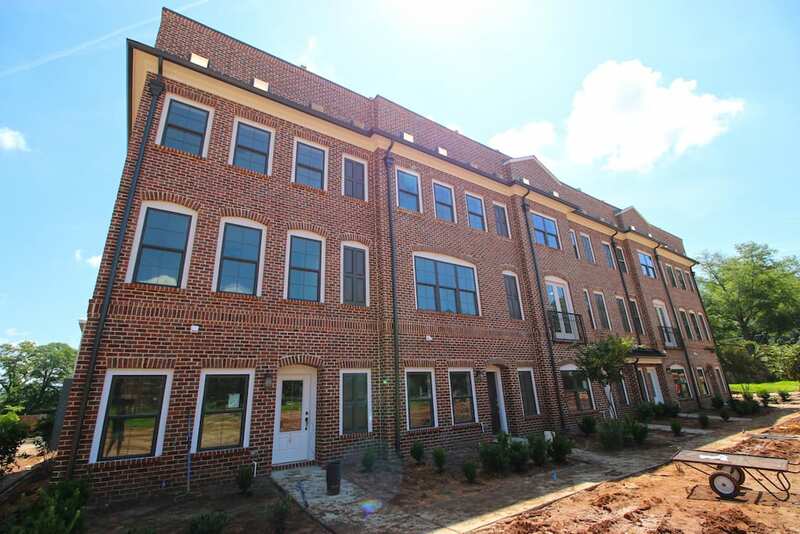 TownPark at BullStreet will consist of 28 new town homes located in the heart of downtown Columbia’s largest, urban redevelopment site. The town homes, built around a private park, will consist of two- and three-story floor plans with prices starting in the 350’s. The aesthetic is classic-meets-modern with a brick exterior and contemporary high-end finishes. Each home will have its own garage and rooftop deck. Updated renderings expected early 2018. Just one mile from the S.C. State House and downtown Columbia’s bustling lifestyle districts, anchored by an award-winning baseball stadium and home to a growing technology village, BullStreet is South Carolina’s first urban gigabit community, building out over 181 acres on a 20-year timeline with an anticipated $1.2 billion in annual economic impact. The BullStreet District is a 20-year, 181-acre project to transform the historic S.C. State Hospital site into a vibrant, mixed-use neighborhood district in downtown Columbia, S.C. BullStreet is on its way to becoming a serious hot spot for the Midlands with the award-winning Spirit Communications Park, home of the Columbia Fireflies Minor League Baseball, Ogletree Deakins law firm, Capgemini, Founders Federal Credit Union, Bone-In Barbeque, Merrill Gardens senior living community, TownPark at BullStreet, Parker Annex Archaeology Center, Bakery at BullStreet, SOCO cowork and event space, Downtown Church and a 20-acre public park with a dog park and trails. Follow @BullStreetSC and #BullStreetSC on Twitter, Instagram and Facebook, and learn more here. BullStreet is ahead of schedule on a 20-year plan to transform one of the largest tracts of undeveloped urban land on the East Coast into an integral neighborhood filled with vibrant, walkable streets and a mix of uses. Spirit Communications Park is a multi-purpose venue located in the heart of BullStreet. The home of the Columbia Fireflies opened its doors in April of 2016. The park will host over 500 events per year for the entire region to enjoy. The Bull Street redevelopment project by upstate developer Robert Hughes is considered to be the largest and most significant land deal in Columbia’s modern history. Find out more about the project here. The Terranova Group, located in Greenville, SC, has extensive knowledge of residential development, construction management, property management and real estate marketing and sales. The management team is comprised of experienced executives with over eighty cumulative years of relevant real estate experience. Since 2011, The Terranova Group has completed a successful niche acquisition strategy of 11 active senior living residential communities with approximately 1,000 total units located in the southeastern United States.